This is a very nice outfit. It looks like Soviet Red Army uniform. I guess it would look nice in my mod 'Season of the Witch', during which you encounter and kill hundreds of local, US born communists. And you have my permission to use it! Just tell me if it works because I've never tested it on another computer before. Thank you ! I have considered the mod finished, but I might change my mind. Now, the commies have clean Chinese uniforms. But, I don't want them to look like Chinese. I'd like to emphasize that they are local, fifth column. I didn't know that there needs to be a reason for it. I certainly don't like communists and political left in general, but it was not the motivation behind the mod. If you are interested we can discuss it on Season of the Witch forum. I don't intend to start a political discussion. But what's not to like about people who believe that every human is of equal value, that fascism and racism has no place in modern society, that the workers should own the means of production, and that we should work to advance society for the good of the masses and not a wealthy elite? And regarding the mod, bloody good work Kazansky i love it! "I didn't know that there needs to be a reason for it" , well, f*** you if you think someone's life has less values because of his political opinion, don't pretend to be democratic or anything like that now ! go back in dixie cow f***er ! Comunism and fascism is the same thing. Please, people, stop being so naif. A nation is not a mass that should go in one direction, is a mass of millions of unique individual with unique ways to think. Comunism is against the individuals liberty. And who told you that in communist countries the workers own the means of production? In communist countries, their leaders are who own the means of production and they are the wealthy elite you are talking about. There is so many naif people who lives in capitalist countries and have this uthopic idea about comunism when they dont know what is to live in a comunist country. I have lived in two comunist countries and I do know how is like and I have seen to their leaders, people who talks about equality and criticizes the rich and the business men, how they get rich turning themselves in the rich elite that they always criticized while people get poor, I have seen them destroying production, liberty, etc . I f you want to know how is the real comunism, please, go to live to Cuba, North Korea or Venezuela. You will be back with a diferent opinion in a few months. For example, in Venezuela there is no games industry because is forbidden. Why? Because his now dead president Hugo Chavez told that videogames incited to violence. Ironic thing if you considere that Venezuela is the most violence country in the world. And I dont see any North Korean or cuban who lives in their own countries giving an opinion here. Oh, it maybe because they dont have acces to inrternet? So, please, take off the wet diapers of your heads. Leave utopia behind and face reality. Nobody emigrates to communist countries, people usually run off communist countries and there must be a reason why. Just figure it out yourself. Statistics dont lie. And looking it from a more banal angle, communist dont make games like Fallout or create sites like Nexus. BTW, A company like Bethesda would never exist in a communist country either. As Liberty Prime says, communism is a lie. Sorry, guys, for talking about this stuff here, but I can't stand the stupidity and ignorance of some people. PD: Rich people and busisness men doesnt have to share their wealth and they are not guilty of poverty; they pay higher taxes, create jobs and move economy. If you want to blame anybody, blame the politicians and ask them what they do with the money of your taxes. It's pathetic how much of the user base on this site is made up of fascist commies. Grow the hell up! If you can't, move out of The Republic Of Your Parent's Basement to Venezuela or somewhere that has it already! I didn't even read the above post, but it just shows what NORMAL people think of the communist modders on the Nexus. Should the people be rewarded for working harder? I think not.. (Communism) One word joke? (Communism). Grow up? well time for a response to a non-argument. If communism is done correctly it can and will lead to prosperity lets look at an example shall we? Burkina Faso. Now you may be wondering why Burkina Faso is stuck in the rut it is today well thats because On October 15, 1987, Sankara was killed by an armed group with twelve other officials in a coup d’état organised by his former colleague Blaise Compaoré. Deterioration in relations with neighbouring countries was one of the reasons given, with Compaoré stating that Sankara jeopardised foreign relations with former colonial power France and neighbouring Ivory Coast. Prince Johnson, a former Liberian warlord allied to Charles Taylor, told Liberia’s Truth and Reconciliation Commission (TRC) that it was engineered by Charles Taylor. After the coup and although Sankara was known to be dead, some CDRs mounted an armed resistance to the army for several days. Sorry but if your best argument is grow up then you have already lost. Kick the reds in! All we could do was kick the reds in! 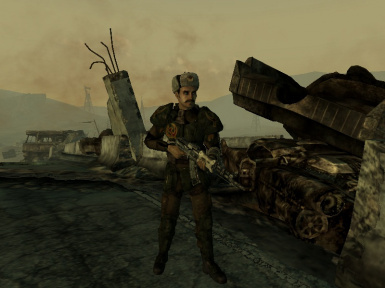 We need it in New Vegas. 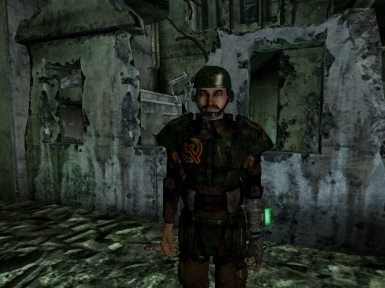 Could somebody please upload an image of specific position of that box that contains this armor? I searched all of courtyard, but didn't find it. 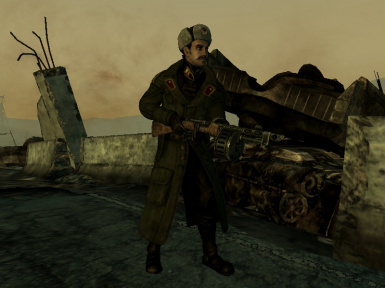 Also I would like to ask, with what I can repair that coat? Did you ever find out an answer to these questions? You should have asked for permission to release it on NVNexus Would've been a definite download for me. Even then, the NV nexus does not allow the use of files from other games. If BigP175 had provided those files as well, it would have been removed. plans for female model on coat? Meh why not I'll upload it now. The female version does not work for me. The male one works fine though. Haha , really nice mod , american communists hm ? I Really need to read some Fallout lore..
Love this! ^_^ Don't mean to be a bother, but do you own/could this be transferred to: FO:NV?